Black algae commonly crop up on concrete driveways in areas with high levels of humidity and heavy rainfall. While black algae won't damage concrete driveways, they can be an awful eyesore. Small colonies quickly spread to cover large areas. Attack even small black algae colonies as soon as you see them. Black algae produce a tough outer shell and can be difficult to remove. 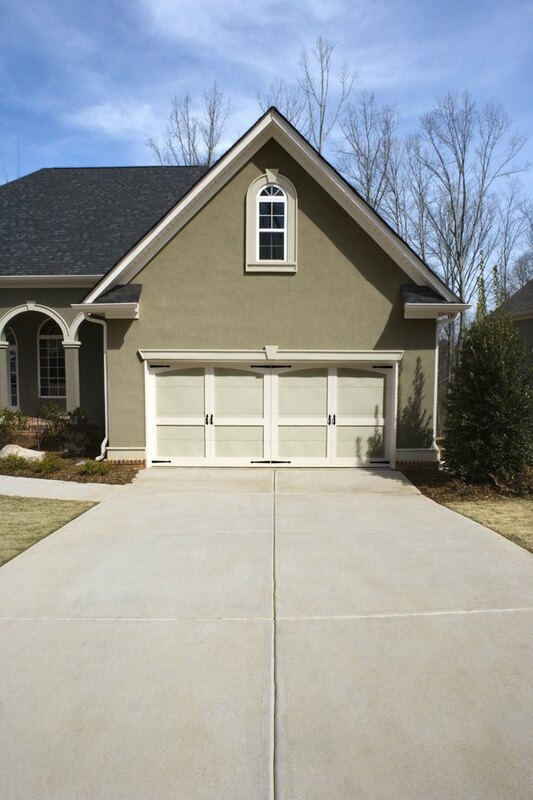 Keep your driveway algae-free with regular cleaning. Scrub and loosen the black algae on the affected concrete, using the push broom with short strokes and heavy pressure. The idea is to break the black algae's outer shell to make it more susceptible to bleach penetration. Prepare a strong detergent solution. Home improvement expert Danny Lipford recommends the following formula: Fill a large bucket with 1 gallon of room temperature water, pour in 1 quart of bleach followed by 1/4 cup of TSP powder (or any other strong detergent). Stir until all ingredients are thoroughly mixed. Saturate the black algae with the solution without any of it spilling over onto nearby plants. Bleach may kill or burn plants. Leave the bleach solution to sit for 20 minutes. Scrub the area vigorously with the broom to remove the algae. Rinse the area clean with the garden hose, aiming the spray away from plants. Repeat steps one through six if necessary.